Zhou Long (b. July 8, 1953, Beijing) is recognized internationally for creating a unique body of music that brings together the aesthetic concepts and musical elements of East and West. Deeply grounded in the spectrum of his Chinese heritage, particularly its philosophical, and spiritual ideals, he is a pioneer in combining the idiomatic sounds and techniques of ancient Chinese musical traditions with contemporary Western ensembles and compositional forms. In April 2006, Bell Drum Towers, commissioned by the House of World Cultures for the Ensemble Modern, was premiered in Berlin and will be performed in Beijing in October 2006. Recent orchestral premieres include The Enlightened, commissioned and premiered in September 2005 by the Kansas City Symphony, led by music director Michael Stern; and Concerto for Taiko and Timpani commissioned and premiered in May 2005 by the Honolulu Symphony, conducted by music director Sam Wong. In July 2004, The Immortal, commissioned by the BBC World Service for the BBC Proms, was premiered by the BBC Symphony, conducted by Leonard Slatkin, and was released on recording by Warner Classics. In May 2003, The Rhyme of Taigu, commissioned with funds from the Barlow Endowment for Music Composition, was premiered by the Singapore Symphony, conducted by Lan Shui, and was subsequently recorded by BIS records. Recent chamber works include his string quartet Harmony, commissioned by the Cork Festival and premiered by the Vanbrugh Quartet in July 2002. In November 2002, the San Francisco Contemporary Music Players premiered The Five Elements (flute/piccolo, clarinet, percussion, piano, violin and cello), which was commissioned with funds from the Fromm Foundation. A version of The Five Elements for Chinese and Western instruments (dizi, erhu, pipa, clarinet, cello and percussion), commissioned by Wesleyan University, was premiered in November 2002 by the Wesleyan Chamber Ensemble and Music from China. During the 2006-07 season, Zhou Long participated in a year-long residency with the Westfield (NJ) Symphony Orchestra as part of Music Alive VII, sponsored by Meet the Composer and the American Symphony Orchestra League. Zhou Long is currently Visiting Professor of Composition at the University of Missouri-Kansas City Conservatory of Music. In May 2002, he was Music Alive! Composer-in-Residence of the Seattle Symphony’s “Silk Road Project” Festival with Yo-Yo Ma, supported by the American Symphony Orchestra League and Meet the Composer. 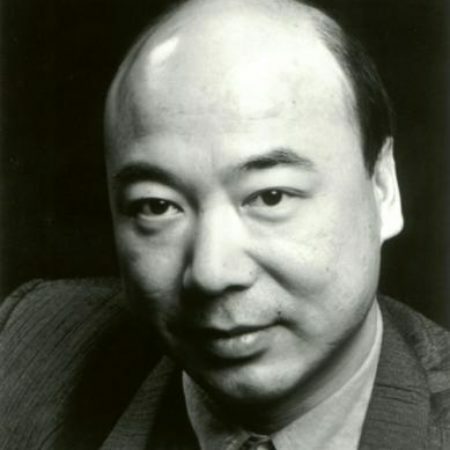 Zhou Long has received fellowships from the American Academy of Arts and Letters, the National Endowment for the Arts, and the Guggenheim and Rockefeller Foundations, as well as recording grants from the Mary Flagler Cary Trust and the Aaron Copland Fund for Music. His awards include Masterprize (Two Poems from Tang with a performance by the London Symphony and recordings for BBC and EMI), and the CalArts/Alpert Award in the Arts, as well as winning the Barlow International Competition (Tian Ling with a performance by the Los Angeles Philharmonic), the Fifth International Competition in d’Avray, France (Dhyana), the Ensemblia Competition in Mönchengladbach, Germany (Ding), and many top prizes from Chinese national competitions. He has been the recipient of commissions from the Koussevitzky Music Foundation in the Library of Congress, the Fromm Music Foundation at Harvard University, Meet the Composer, Chamber Music America, and the New York State Council on the Arts. Among the ensembles who have commissioned works from him, are the Bavarian Radio Symphony Orchestra (Out of Tang Court), the Brooklyn Philharmonic Orchestra (Poems from Tang), the Tokyo Philharmonic (The Future of Fire), the New Music Consort (The Ineffable), the Pittsburgh New Music Ensemble (Soul and Tian Ling), the Peabody Trio (Spirit of Chimes), the Kronos, Shanghai, Ciompi, and Chester string quartets (Poems from Tang), and the vocal ensemble Chanticleer (Words of the Sun). In September 2000, his evening-length work Rites of Chimes, for solo cello and Chinese instruments, was premiered at the Freer Gallery of Art, Smithsonian Institution, Washington D.C., by Yo-Yo Ma and Music from China. Zhou Long was born into an artistic family and began piano lessons at an early age. During the Cultural Revolution, he was sent to a rural state farm, where the bleak landscape with roaring winds and ferocious wild fires made a profound and lasting impression. He resumed his musical training in 1973, studying composition, music theory, and conducting, as well as Chinese traditional music. In 1977, he enrolled in the first composition class at the reopened Central Conservatory of Music in Beijing. Following graduation in 1983, he was appointed composer-in-residence with the National Broadcasting Symphony Orchestra of China. He came to the United States in 1985 under a fellowship to attend Columbia University, where he studied with Chou Wen-Chung, Mario Davidovsky, and George Edwards, receiving a Doctor of Musical Arts degree in 1993. After more than a decade as music director of Music from China in New York City, he received ASCAP’s prestigious Adventurous Programming Award in 1999. Zhou Long’s works have been recorded on Warner Classics, BIS, EMI, CRI, Teldec (1999 Grammy Award), Cala, Delos, Avant, and China Record Corporation. In 2004 BIS released Rhymes, orchestral music performed by the Shanghai Quartet and the Singapore Symphony conducted by Lan Shui; Cala released The Book of Songs, works for voice and instruments with soprano Lan Rao; and Delos released Tales from the Cave, featuring his chamber music for Chinese traditional and Western instruments. Zhou Long is published exclusively by Oxford University Press. © —made with favorite by Opus Affair.